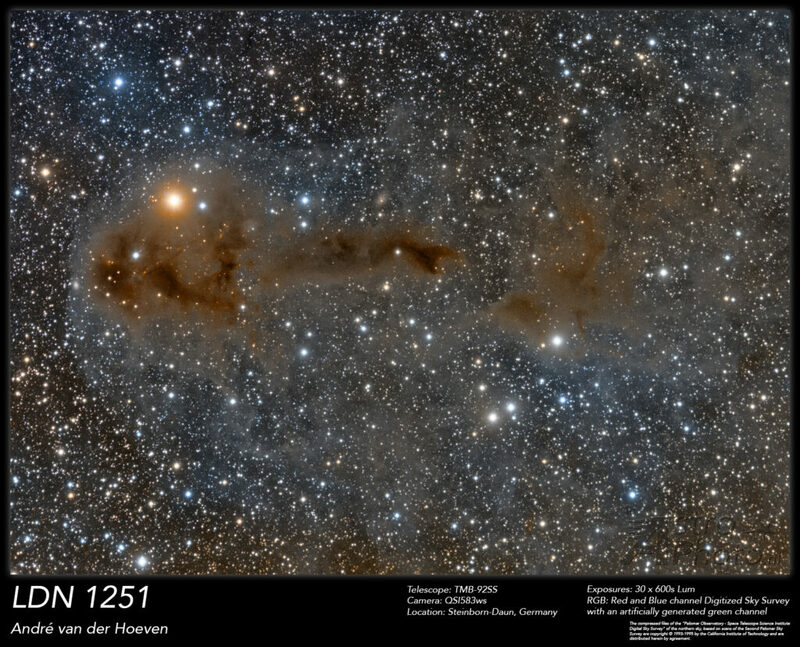 This image shows Lynds Dark Nebula 1251 in the constellation of Cepheus. The image was taken from my holiday location in Steinborn-Daun in Germany. We were planning to leave home on Sunday, but the forecast for that night was so good that we decided to stay one night longer, as it was also almost new moon. 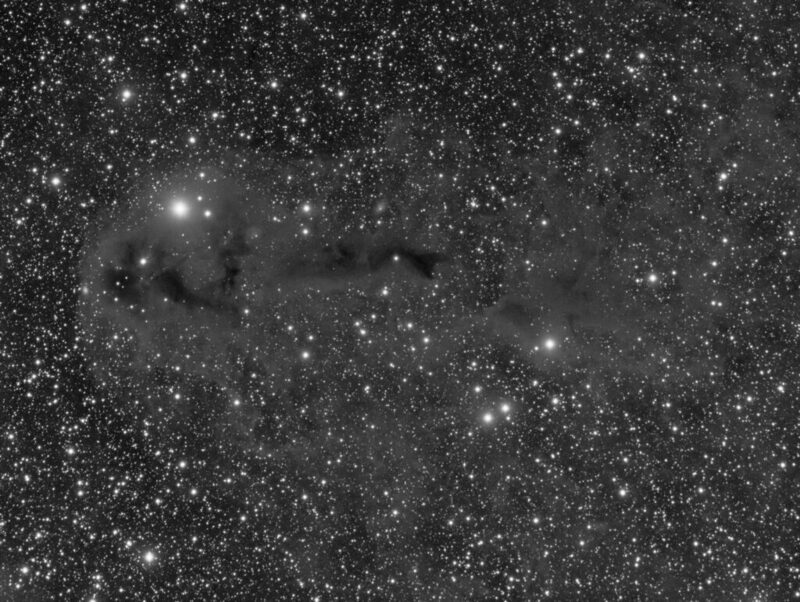 I had the plan to image this dark nebula during the holidays but as there was only one clear night during the period around new moon I was only able to obtain luminance data. Therefore I decided to combine my luminance image with a RGB layer generated from the Digitized Sky Survey Red and Blue channels with an artificial green channel. This is because this nebula is impossible to image for me from my home location so it will probably take another year or so before I’ll be able to catch RGB data myself (which I’m sure will generate an even more pleasing result). In the end I was very happy to see how much detail I was able to obtain.